Monsoon has moved into South Gujarat, parts of Saurashtra and West M.P. The Low Pressure (BB-2) has formed off the AP coast in the Bay. BB-2 is expected to become Well Marked in the same position by Monday.System may track inland on Monday and Tuesday. While tracking thru Coastal A.P. on Monday, it will bring heavy rains to A.P. and then move into adjoining North Telengana and adjoining Vidharbh. The off shore trough will remain active , with heavy rainfall along the West Coast. Light rains likely in Coastal Sindh next 2 days. Karachi may see light rains on Monday/Tuesday.Strong Southerly winds. Estimate of further advance of Monsoon into Delhi NCR will be around 1st July. Rains will increase in NCR from 1st July. Indore: Few showers on Monday, but rainfall increasing on Tuesday/Wednesday. Rainfall increasing in Saurashtra after Thursday 30th June. Mumbai: Will be cloudy with showers or thunder showers, some heavy, on Monday and lesser intensity on Tuesday.Rain may measure around 35-50 mms/day on Monday. On Monday,heavy showers in Northern Outer townships along the coastal areas. Roha received about 130 mms on both Friday and Saturday /day. Heavy rains on Monday in Roha and Panvel regions. Pune: After some light rains on Monday, Pune can see an increased rainfall of upto 20-30 mms on Wednesday. Many Western Ghat Stations (important for Dams) will receive between 100-150 mms on Monday. Substantial increase in Ghat Stations could be expected on Thursday and Friday (will be kept informed here). As a rule, vagaries tries its best to post any special weather event, or unusual weather or any extreme weather event. Normal weather conditions and where nothing unusual is expected is not mentioned in Vagaries. We try not to miss any special weather occurrence. CORRECTION HAS BEEN MADE TO POST...LIGHT BLUE COLOUR..THAT IS LESS THAN 30 MMS PREDICTED FOR SINDH COAST. ORIGINAL THRU ERROR..REGRETTED. Muhammad Zohair...error regretted in colour code for Sindh coast. the low in Arabian sea has rapidly intensified into a deep depression and now has been named as 93A with good chances to develop further. Will this stall the progress / intensity of the monsoon specially the western arm? 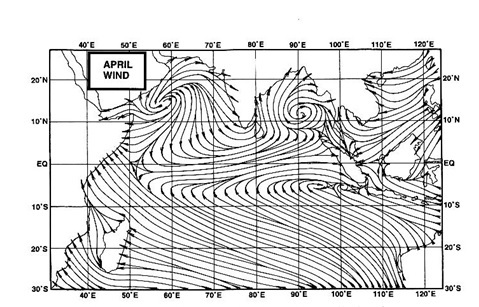 and what is the forecast for Karachi in the light of this development (brewing cyclone). it has been unbearably hot since yesterday and seems like almost a repeat of last year when the record heatwave claimed unprecedented loss of life. Sir, would u please explain why Calcutta is facing one of the weakest monsoon rains so far? It has hardly rained since the past one week with sun blazing throughout the day. When will the situation change? Vagaries forecast(forecasted on 23 June 2016) for last weekend (25/26 June 2016) was spot on.